Gold and Silver Hallmarks: BBC Bargain Hunt tips - What is Murano Glass? BBC Bargain Hunt tips - What is Murano Glass? Widely desired by glass collectors all around the world, items made from this elegant glass are beautiful and useful. But with so many reproductions and modern re issues, how can you be sure that the glass object you are fondling is the real thing. Just what is Murano Glass? Murano glass is a product of Italy that is found on the Isle of Murano, just north of Venice, Italy. 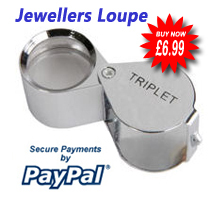 It is specifically treated to create highly prized glass objects. 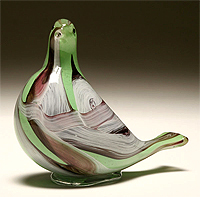 Colourful and unique, Italian Murano glass is manufactured without the use of nickel or lead. Murano Glassmakers have been using their techniques to produce art and jewellery from glass from the beginning of the 9th Century. The same methods are still followed by Murano glassmakers today. Murano glass comes only from Italy; it is high in clarity, with vibrant colours that appear to have an inner glow. Glass products range from crystal clear, to vibrant reds, blues, and yellows. All Murano glass will be high in clarity, and of good quality. Imitations are easily identified by their poor quality, heavy weight, and little or no clarity. Items listed as Murano Style have been made in other countries. Objects made from authentic Murano glass are constructed by hand, which makes them rather expensive. Each piece is a rare design, and no two objects are the same. Using glass that has turned from liquid to solid, glassmakers can shape it into artistic designs before it is completely hard. When the object has been shaped, it is given a unique number of authenticity. This number is usually located on the bottom of the object and can be seen with a magnifying glass. Modern day glassmakers use holographic stickers that contain the authentic number. Genuine Murano glass objects are accompanied by a Certificate of Authenticity. Murano glass is fairly low maintenance and only requires an occasional gentle dusting. Use a damp lint free cloth to remove marks or stains, and glasses or stemware should be washed by hand with mild liquid soap and warm water. Cracks or chips can be ground, surfaced, and repaired by a glass specialist with extensive experience in repairing damaged glass.